MYSTIC – Bill Pere, a molecular biologist by training, has just released a book which delves into the craft and psychology of songwriting called “Songcrafters’ Coloring Book: The Essential Guide to Effective and Successful Songwriting.” It is the culmination of 30 years of research and interaction with more than 10,000 songwriters all across the U.S., from aspiring beginners to top hit writers. Pere has had two concurrent careers, including 23 years as a research scientist, and 30 years as songwriter and performer. He is currently President of the Connecticut Songwriters Association, and Director of the Connecticut Songwriting Academy. “These two fields of endeavor, science and music, have combined to provide a unique perspective on creation, craft, and presentation of songs which has not been presented before in any of the other songwriting books on the market,” says Pere. “A song, and the process of constructing it, has for the first time been broken down into all of its individual components, and the contributions and effects of each of these are examined. This gives a songwriter far more conscious control over the final form of his or her creative output. In December 2008, Pere was named one of the “Top 50 Innovators, Groundbreakers and Guiding Lights of the Music Industry,” by Music Connection Magazine. The initial response to the book, locally and in the UK and in Australia, has been favorable. Pere will be presenting workshops in the coming weeks in Nashville, Boston, and in Connecticut, with a national tour being planned. Pere’s online Songwriter Tools page at www.billpere.com receives more than 10,000 visits monthly from around the world. “I constantly hear from talented songwriters who are desperately searching for specific tools or guidance as to how to cut and polish the raw gems of their creativity in to an optimal final form, and then how to get them 'out there’ to the right audience,” Pere says. 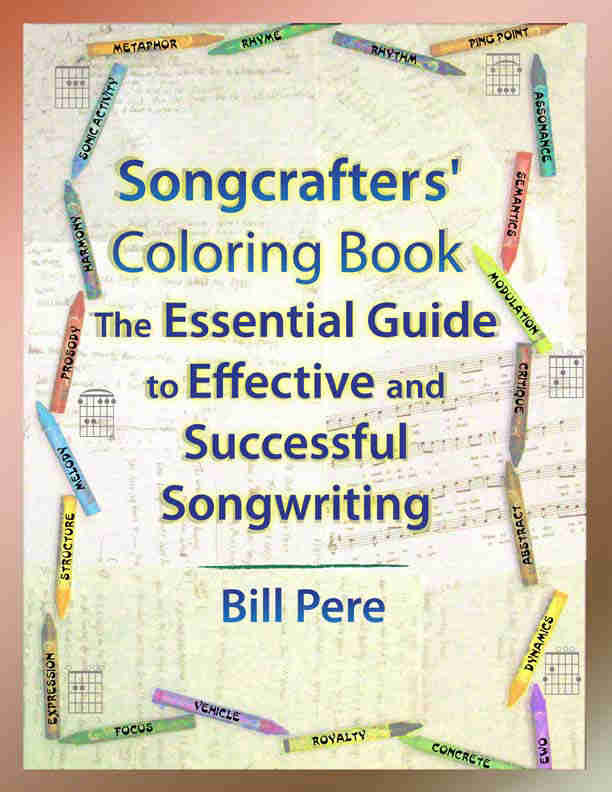 “I hope this book, and the associated web content I will be adding, will fill this need.” The book is available at Amazon.com or from www.songcrafterscoloringbook. com. A portion of proceeds from sale of the book will be donated to local social service programs through Local United Network to Combat Hunger.